How to Make a MIDI Piano with the Pi Cap #piday #raspberrypi @Raspberry_Pi « Adafruit Industries – Makers, hackers, artists, designers and engineers! The Pi Cap is great for adding sound to your Raspberry Pi projects and creating a MIDI piano with the Pi Cap is easily done! 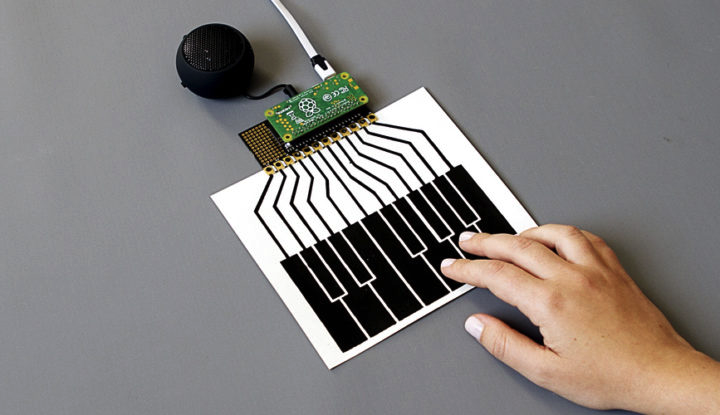 All you need is a Raspberry Pi, a Pi Cap, some Electric Paint and a piece of paper. For this tutorial, we SSH into the Pi to set up the power switch, but if you don’t want to use SSH and the terminal, you can also use a monitor, keyboard and mouse connected to your Raspberry Pi.